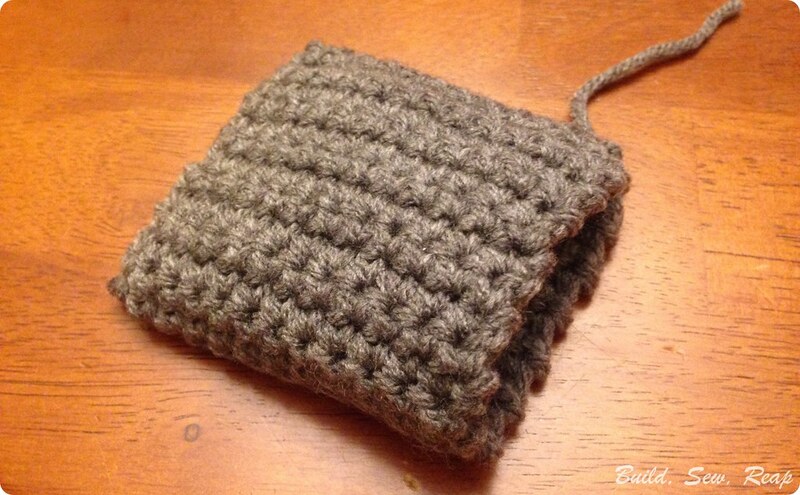 If you follow me on Facebook, you may have seen that my new obsession is crocheting. 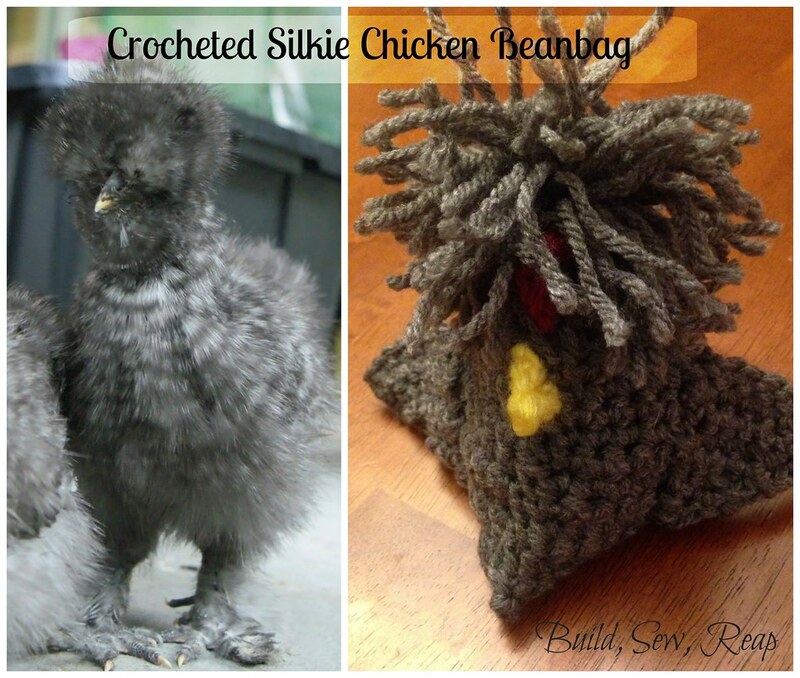 Well, I'm still loving my chickens so when I found a pattern for crocheted beanbag chickens on Petals to Picots, it was an obvious project to take on but of course, I had to make some changes to better fit my flock. 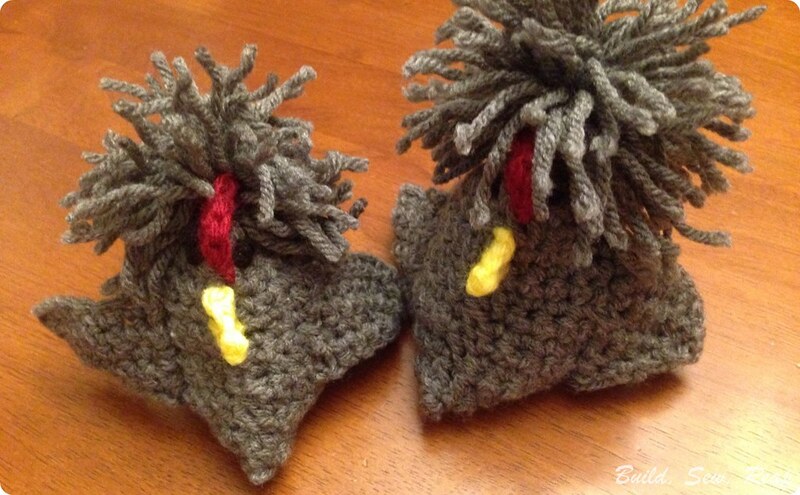 These are quick and easy to make and super cute to boot. Petals to Picots did a wonderful job of outlining how to make the body. 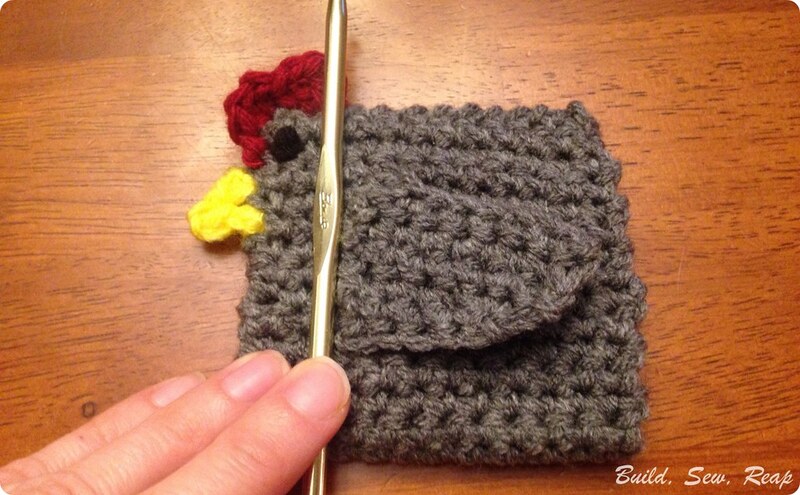 I'm going to let you refer to her post to see specific directions but for this sized chicken (she outlines how to make bigger ones too), the body should be 12 stitches by 28 rows using a size H hook and I left a really long tail. After making the rectangle, I veered from her instructions a bit. When I folded the body in half, I whip stitched the pieces together using the long tail I left on the rectangle when I finished off. 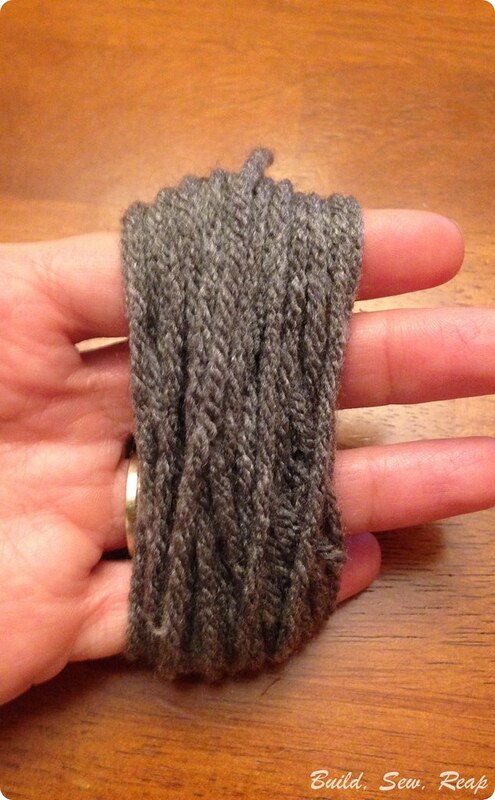 If you didn't leave a long tail, just use a new piece of yarn. Pull all tails to the inside of the body. 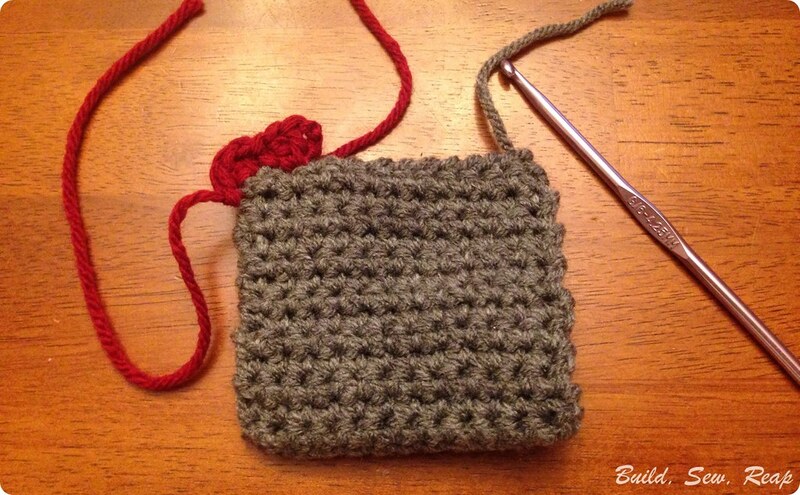 Join the red yarn in 2nd stitch from slip stitched corner. Make sure the opening is towards the back of your hook hand, not facing down. 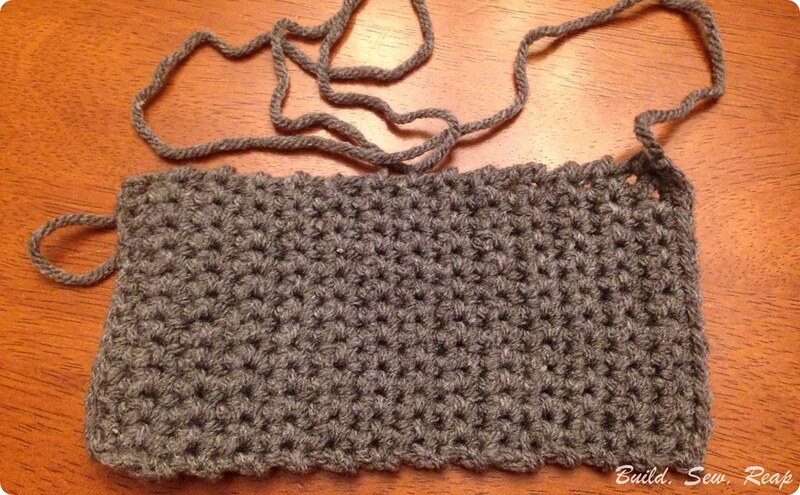 Chain 3, work 2 double crochets (dc) in same stitch as join, 1 single crochet (sc) in next, dc 3 in next stitch (around the front of the square), slip stitch in next, fasten off. 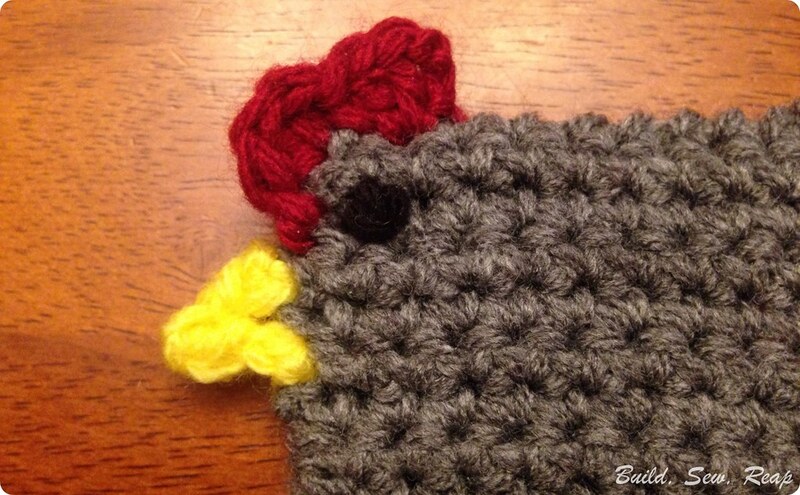 Pull all tails to the inside of the chicken body. This part is straight from Petals to Picots. "Join yellow in next st, ch 1, work 1 sc in same st as join, ch 3, 1 sc in furthest ch from hook, 1 sc in next st, Sl st in same st, fasten off." 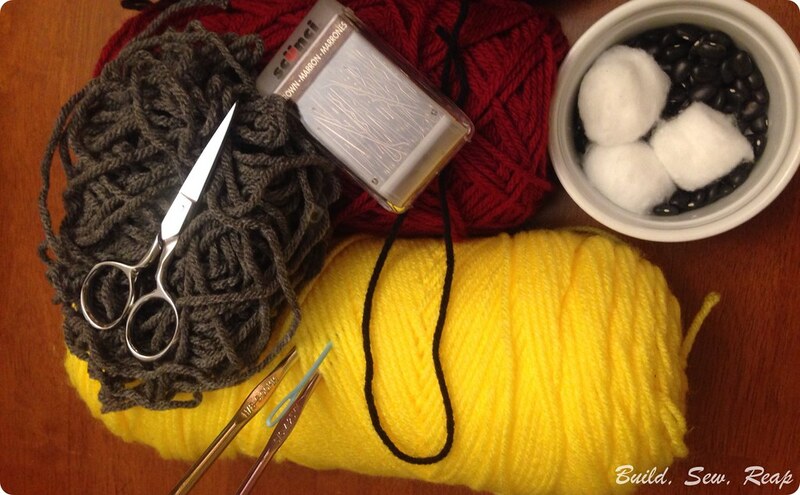 Using black yarn, make a french knot for each eye. 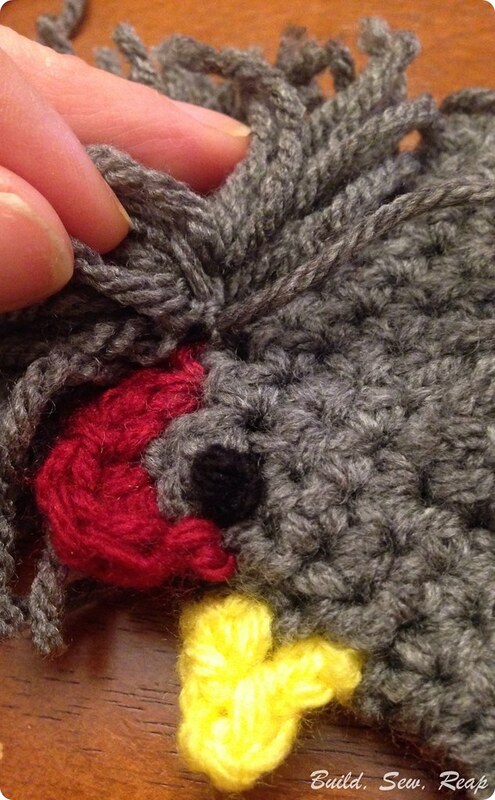 Position as shown below and use the long tail to whip stitch in place. Poke the ends through to the inside. 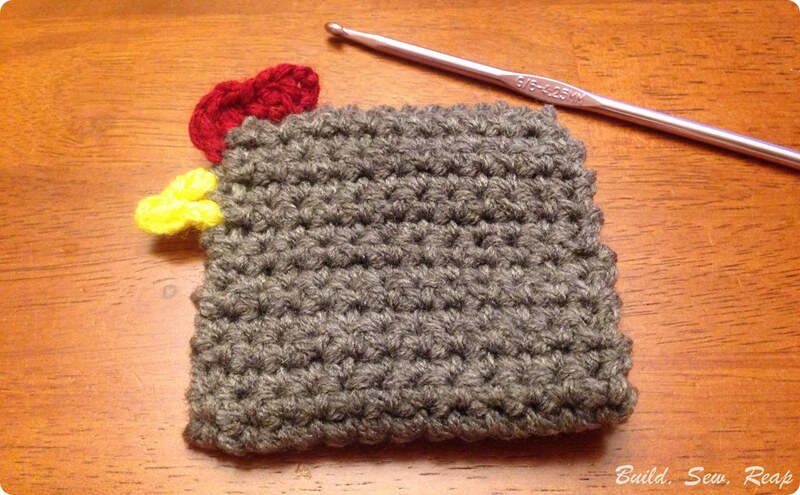 Create a lose pom pom in the same color as the body. 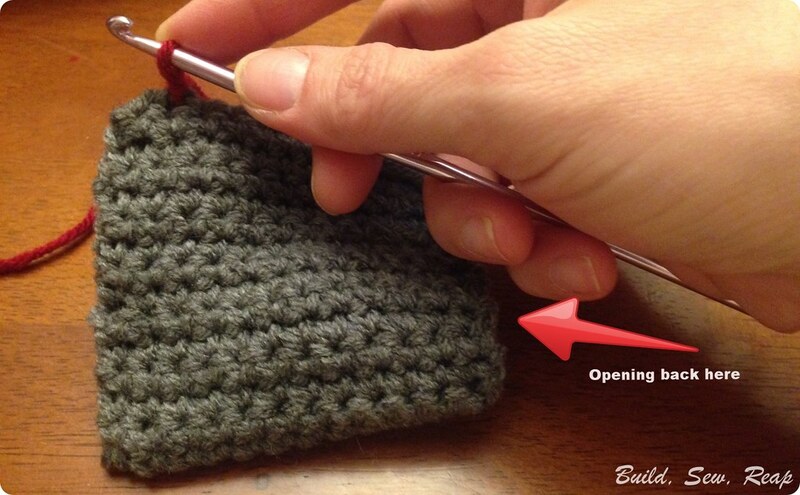 Wrap the yarn around your fingers 40 times. Tie off at the middle and snip the loops (snipping is optional but I prefer the look). Using the middle tie, secure it to the body of the chicken just behind the comb. I just threaded one half of the center tie through and tied it in a knot to the other side. Open the back of the chicken, stuff some fiber fill or some cotton balls in at the face. Fill the rest with beans. 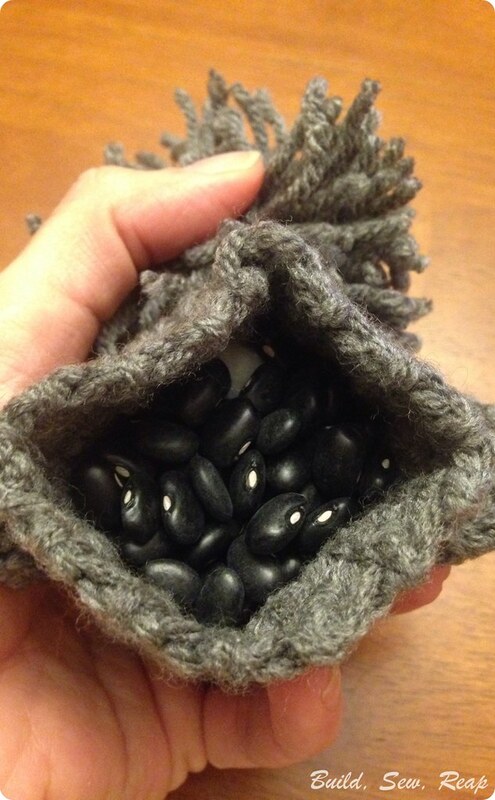 Make sure your beans are bigger than the holes in your crochet stitches. 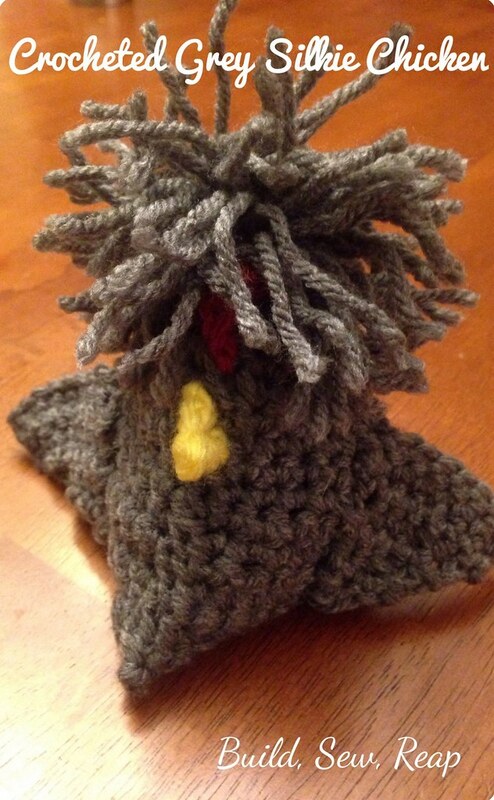 Nobody wants a bean pooping chicken. Fold top seam down to center of bottom fold. This back fold goes perpendicular to the front of the bird. 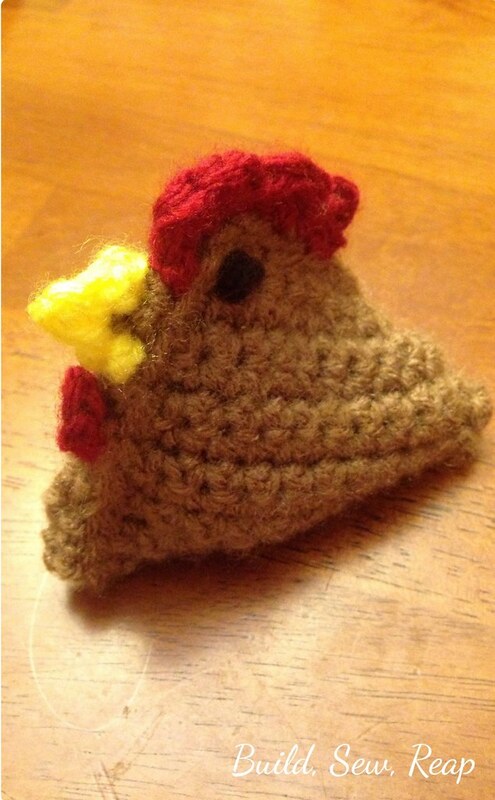 Whip stitch closed the back of your chicken and enjoy!